Yesterday, I took Lucinda on the Dearly Departed Black Dahlia tour. When we were at their office before the tour, I saw a little display case with a small box in it. 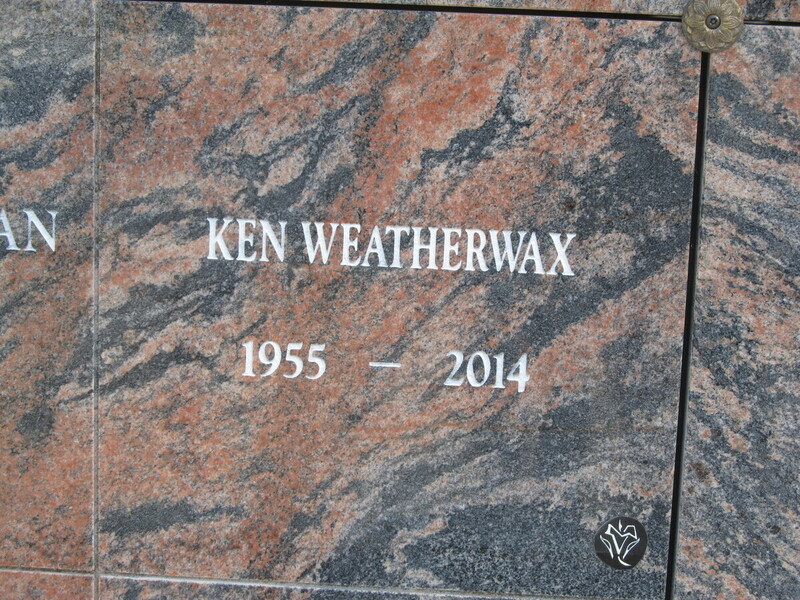 A sign said it was a portion of the remains of Ken Weatherwax, who played Pugsley Addams. It also said that the rest of his remains are at Pierce Brothers Valhalla in North Hollywood. And so that’s how I decided where we were going today. It was kind of chilly this morning, but it was supposed to warm up, so I went with shorts, and just added one layer of bubble wrap as a blanket to stay warm. 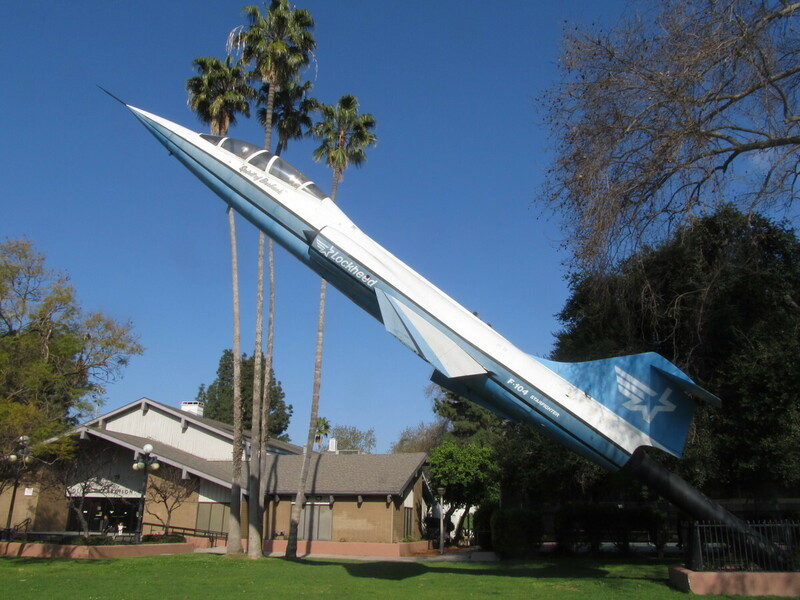 We rode out by the usual route to get to Burbank, where we stopped to see the F-104-on-a-stick in the park there. Then we continued on to NoHo and Valhalla. I’d used the Google Maps aerial photos to know where the small mausoleum was, so we were able to locate his space pretty quickly. Then we went and took a few minutes to see the Portal of the Folded Wings. We stopped for snacks at Priscilla’s, and then headed home by way of Griffith Park and the L.A. River bike path. Along the way back, we lost track of one rider, so I rode back a couple miles to look for him. But he seemed to have disappeared. Maybe he took a different route home.